Cf. Straeter/Burgardt/Bickmann, Arzneimittel für seltene Leiden – Situation in der Europäischen Union, A&R 2014, 195 with further references. Recital 2 of Regulation (EC) No 141/2000. See also Hiltl, Orphan Drugs – Zwischenbilanz und Konfliktfelder, PharmR 2001, 308. Regulation (EC) No 141/2000 of the European Parliament and of the Council of 16 December 1999 on orphan medicinal products (OJ L 18, 22.1.2000, p.1), last amended by Regulation (EC) No 596/2009 (OJ L 188, 18.07.2009, p. 14). The amendments that were introduced in 2009 by Regulation (EC) No 596/2009 mainly concerned transferring legislative power to the European Commission. See first half of the sentence in Art 3 (1) lit a) ODR. See second half of the sentence in Art 3 (1) lit a) ODR. Art 3 (1) lit b) ODR. See Art 7 (1) ODR. EMA, Explanatory note on general fees payable to the European Medicines Agency, 01 June 2017, p. 42 et seq. According to Art 2 lit c) of Regulation (EC) No. 141/2000, the ‘sponsor’ is defined as “any legal or natural person, established in the Community, seeking to obtain or having obtained the designation of a medicinal product as an orphan medicinal product”. Although the European Commission is instructed to “draw up detailed guidelines on the required format and content of applications for designation” according to Art 5(3) ODR, this has not happened for the past seventeen years. Cf. Art 5 (1) ODR. Due to Art 5 (5) ODR. Art 5 (6) and (7) ODR set out specific procedural rules in case the COMP does not manage to reach a consensus in due time or in case the sponsor does not agree with the opinion of the COMP. Orphan drug status cannot be obtained for medical devices. It is, however, possible to apply for that status in case a product was miscategorised as medical device which in fact has a pharmaceutical effect and must thus be classified as pharmaceutical. 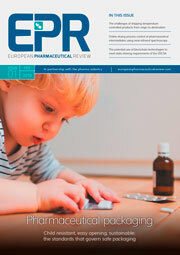 The register can be accessed online via http://ec.europa.eu/health/documents/community-register/html/orphreg.htm.